Staying ahead of any problems that your home has lying in wait is an integral part of being a homeowner. And your roof is an experienced veteran in the game of protecting you can your belongings. So any problems that it may be hiding can be disastrous for your home. Below we have a few factors to keep in mind when you are watching out for your roof. If your roof is pushing its 20 years then it might be time for you to look into replacing it as 20 years mark the end of the lifespan for many asphalt roofs. If you suspect that your roof is reaching an early retirement try checking the insulation in your attic to see if any water is coming through. Also, check if you can see any sign of daylight coming through as well. If you find a sign of either, then it might be time to call a roofing contractor and see options are available for you. 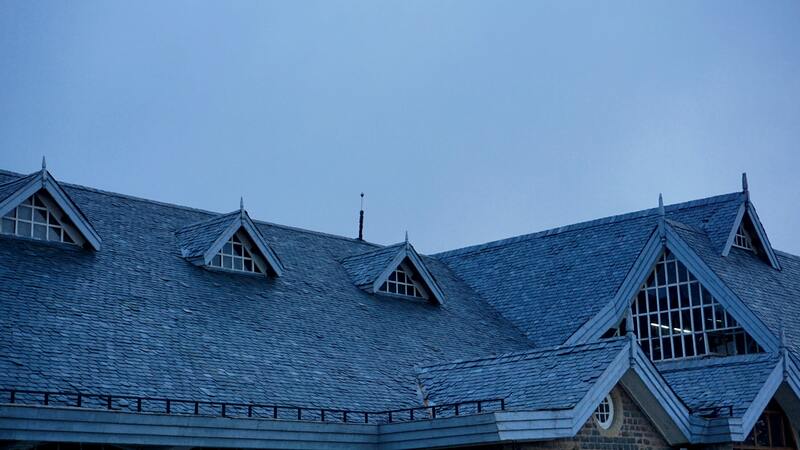 After a major weather event (Hail, extreme snow, or heavy rainfall) your roof may have sustained damaged outside of the norm and need attention to remedy the damage it sustained. Wind winds may have buffeted nearby tree and caused limbs to fall. Heavy rainfall may have washed away stray shingles and stripped away shingles granules creating bald spots. Weather damage also extends to your gutters as snow may have dislodged portions of it from the fascia. Doing checkups on your roof after trying types can keep you up to date on the health of your roof. Moss growth along the shingles usually occurs in cooler climates and follows the seems lines of the individual shingle tiles. They can be a very unappealing thing to see on your roof, and moss can harbor another type of damage down the road. With its presence, the moss holds on to moisture and overtime when the temperature drops the trapped water will freeze and expand. The mold then pushes up against your tiles and opens a path for water to get a the substructures of your roof and cause leaks. A more subdued type of growth that can plague your roof is airborne algae that cling to your roof and causes dark streaks to form along with your roof decks. These algae stains don't cause any damage to your home this growth is rather unsightly and can impact the value of your home if you are selling. To tackle this problem, a contractor would spray a solution to kill the growth and make your roof harder for the algae to latch onto in the future. Usually when neighborhoods go up, roofing contractors will plan to come to the community when all of their roofs are in need of a refresh. Since they were all constructed at a similar time, their roofs should have aged at a similar rate. Companies run promotions when they come to a neighborhood to secure everybody in the area so when they come to a knocking it might be time for a new roof. The shingles roof are the most popular type of roof covering for their low price, easy installation, and long lasting time against the elements. An essential part of these shingles is the granules added to them that increase their fire resistance and the protect the asphalt layer from the sunlight. Through age or heavy weather you may find these granules (small black bits) building up in your gutters, there are regular amounts of wear that your roof goes through, but an excessive amount in your gutters is a signal that it may be time to call a professional to look at it. A warning sign to look for is bald spots on the shingles themselves as this is where your roof is most venerable, uneven granule loss on the shingles cause this, and it offers places where water can seep through or for the sun to damage the asphalt coating. Flashing is the protective layer around the base of a chimney or any other protrusion where they meet the roof shingles. It is usually made from aluminum or galvanized steel, and its purpose is to prevent water from seeping in. This type of damage is pretty to spot as you just need to draw your attention to your chimney and inspect it to see if any of the metal is warped, heavily weathered, or has fallen loose. If your flashing fits then a contractor can either shape new shape new flashing for you or use prepared piece along with roof cement and reattach it on your damaged section. If you notice that your shingles are starting to curl upwards then it is time that you had your roof serviced before hard weather hits. This type of damage, also known as "Fishmouthing," can be identified by their telltale curling at the corners of the individual shingle. The shingle can look like the tile is being twisted or is being bent in the middle. Fishmouthing is caused by your attic having poor ventilation, and the hot moist air is being trapped within the roof deck. Which leads to mold forming and your shingles being warped as a result. Curling can also happen from an improper installation for having a multilayered roof. Where instead of removing an older roof and replacing it with a new one the homeowner opts for having new shingles installed on top of existing ones. For the tradeoff of the price, this "roofing over" leads to the new shingles not being as secured and curling has a higher chance of happening. After a storm rolls by you may notice that your room has lost a few shingles due to the wind, debris, or rain. If you are missing one that isn't an immediate problem as there are temporary fail-safes in place for a missing shingle but it will not offer the same protection and will eventually give way to a leak. If your roof has lost many shingles, then you should contact a roofing contractor to remedy the issue and to see if there are any underlying issue that needs to be addressed.